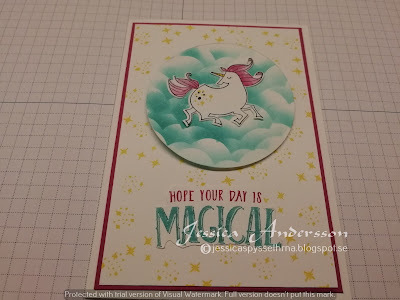 Today I used the stamp set called Magical day. It´s a lovely stamp set and I have seen a lot of different things done with this stamp set. If you want to see the video I was inspired by you can find it here. I used thick Whisper White cardstock as base for my card. I then added a layer of Berry Burst cardstock. On the next layer I stamped stars all over in Daffodil Delight. I then cut out a circle and used Bermuda Bay ink and a sponge dauber to make clouds. 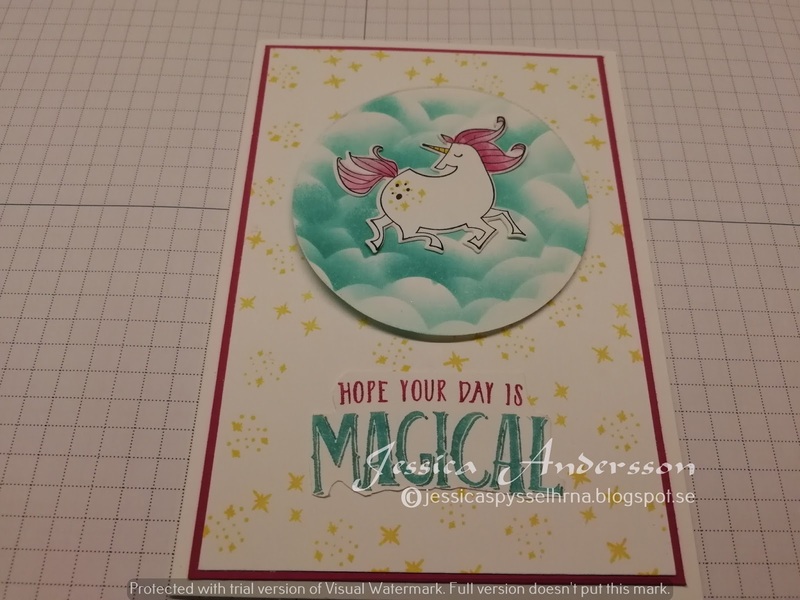 I then stamped and coloured the unicorn, I fussy cut my unicorn with my scissors and then added it on my circle. I added the circle to my card with dimensionals. I used the Berry Burst and Bermuda Bay markers on the sentiment.